MONROE — A word of advice to future Bellbrook girls soccer opponents: Don’t agitate Bailey Sedlak. The Monroe Hornets found that out Sept. 11 as the Bellbrook junior scored a pair of goals — including the game-winner seconds after she thought she was fouled and no call was made — in the Golden Eagles 3-2 win. In an ensuing moment of anger, Sedlak took her frustrations out on the ball and kicked it as hard as she could. The result was a beautiful right-to-left shot to the left side upper 90 with 8:17 left. Shell-shocked Monroe couldn’t mount much of an attack after that as Bellbrook improved to 7-0-1 overall and 6-0-0 in the Southwestern Buckeye League Southwestern Division. Sedlak’s first goal gave Bellbrook a 1-0 lead a little over a minute into the game when she took a cross from junior Sydney Hollingsworth inside the box and easily poked it by the keeper. The play started with a long pass from senior Abby Judge. Monroe (3-2-3, 3-1-1) tied it with 3:19 left in the half when Alyssa Beckett punched in a corner kick. Monroe opened the scoring in the second half when Beckett poked in a direct kick inside the box. Hollingsworth tied it with 12:17 left in the match when she tucked a perfectly placed ball under the cross bar. The keeper had no chance. It doesn’t hurt having the feisty Sedlak and Hollingsworth. Sedlak now has 13 goals and is atop the SWBL in that category, pending the outcome of a couple other league matches. Hollingsworth has four goals and three assists. Leila Donnerberg is sandwiched between them with three goals and four assists. 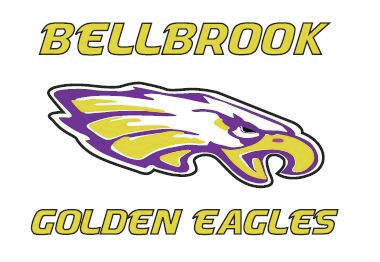 Bellbrook hosts Carroll at 11:45 a.m. Saturday, Sept. 15. Monroe is at Franklin, Thursday, Sept. 13.